Quality Auto Center is honored to present a wonderful example of pure vehicle design... this 2016 Mercedes-Benz GLA 250 4MATIC - CARFAX Certified 1 Owner - No Accidents - Fully Serviced - Quality Certified W/up to 10 Years, 100,000 miles Warranty only has 33,188mi on it and could potentially be the vehicle of your dreams! 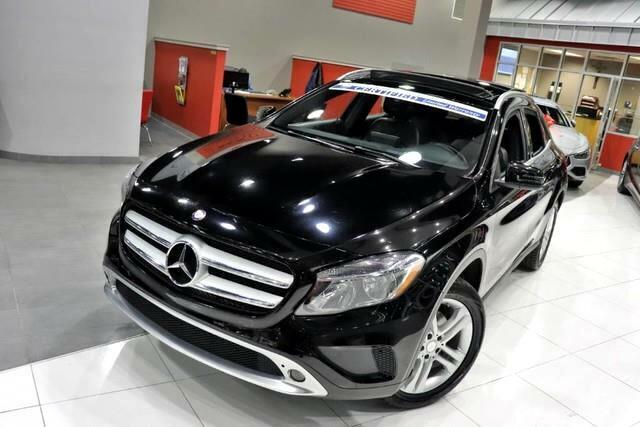 This Mercedes-Benz GLA 250 4MATIC - CARFAX Certified 1 Owner - No Accidents - Fully Serviced - Quality Certified W/up to 10 Years, 100,000 miles Warranty is an incredibly versatile vehicle that is a must have for any family. The 2016 Mercedes-Benz offers compelling fuel-efficiency along with great value. You will no longer feel the need to repeatedly fill up this Mercedes-Benz GLA 250 4MATIC - CARFAX Certified 1 Owner - No Accidents - Fully Serviced - Quality Certified W/up to 10 Years, 100,000 miles Warranty's gas tank, in part because of it's superb EPA rating. You'll love the feel of AWD in this 2016 Mercedes-Benz GLA 250 4MATIC. It provides a perfect balance of handling power and control in virtually every driving condition. One of the best things about this Mercedes-Benz GLA 250 4MATIC is that it has low, low mileage. It's ready for you to truly break it in. More information about the 2016 Mercedes-Benz GLA 250 4MATIC: Mercedes-Benz enters the increasingly crowded luxury compact crossover segment with the GLA-Class. Its sedan underpinnings and small stature make it a nimble performer, with favorable comparison against competition from BMW and Audi. The high-performance GLA45 AMG takes things to a different level, however, and nothing from any manufacturer can rival it. This model sets itself apart with athletic handling, superb power in AMG guise, and Available technology and safety features No Credit / Bad Credit / No Paystubs, No problem !! ! All Approved ! Everyone drives ! CLEAN, GORGEOUS, LOW MILES, SHOWROOM CONDITION. CALL NOW QUALITY CERTIFIED up to 10 YEARS 100,000 MILE WARRANTY , To Certify a vehicle, there will be an additional cost for Certification. CALL NOW For details. STUNNING AGGRESSIVE LOOK ON THIS BEAUTIFUL--Call today to schedule a test drive... Good Credit/Bad Credit/No problem!!!! Get paid cash? No problem!! 100% Credit Approval with interest rates starting at 2.49% for qualified customers, our rates will not be beaten. We price our cars at wholesale price to guarantee the best deals for our customers. Our inventory moves quick, please call to confirm the availability of the vehicle of your interest Springfield location 973-564-0112. This vehicle is located at our SPRINGFIELD location. Come visit our new showroom in Springfield NJ.